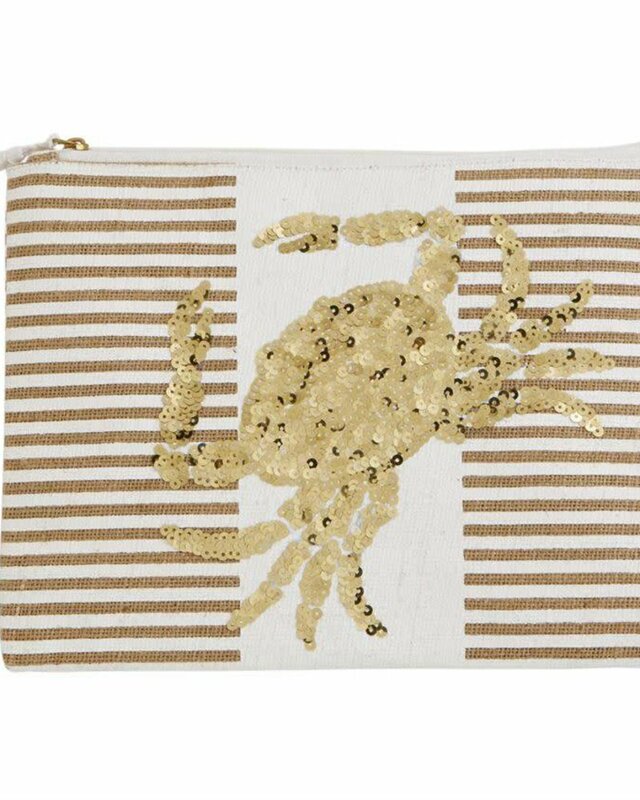 Jute carry-all zip case features sequin crab exterior, laminated wipe-clean interior and tassel zipper pull. Tan and white stripes. 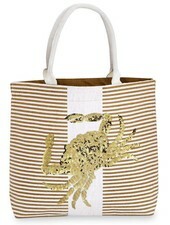 Matching tote bag & additional designs available separately. 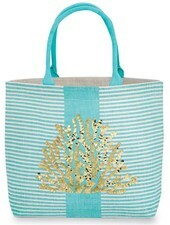 Aqua & white striped jute tote features gold sequin coral exterior, cotton webbing handles, inner pouch pocket and laminated wipe-clean interior. 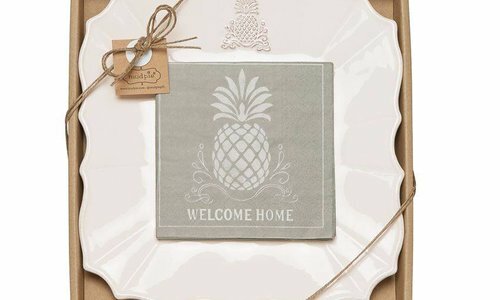 Matching zip case & additional designs available separately. 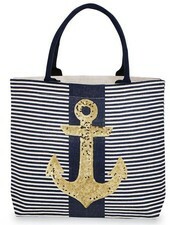 Navy blue & white striped jute tote features gold sequin anchor exterior, cotton webbing handles, inner pouch pocket and laminated wipe-clean interior. Matching zip case & additional designs available separately. 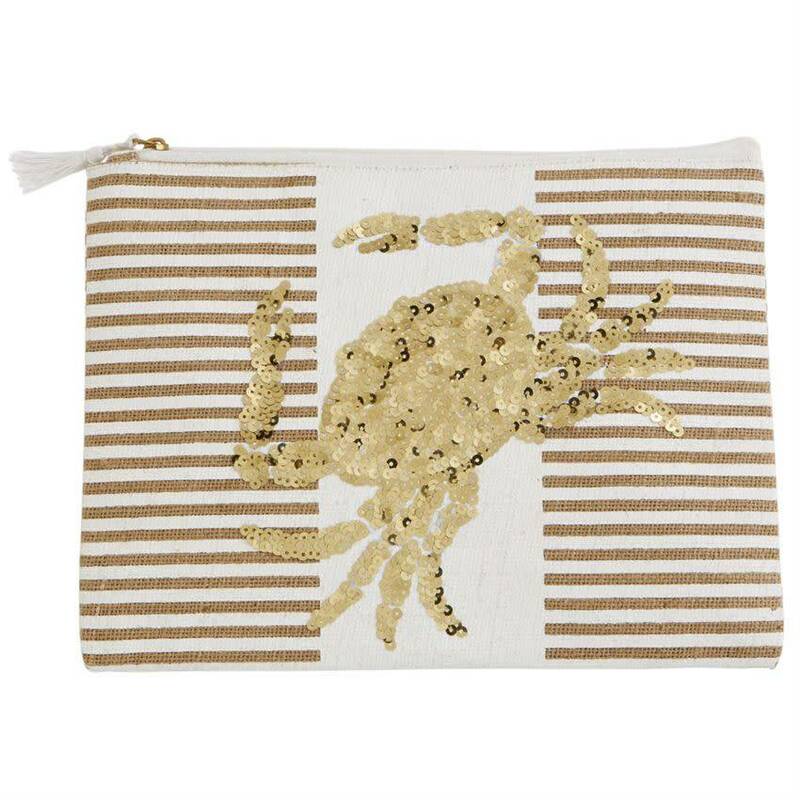 Tan & white striped jute tote features gold sequin crab exterior, cotton webbing handles, inner pouch pocket and laminated wipe-clean interior. 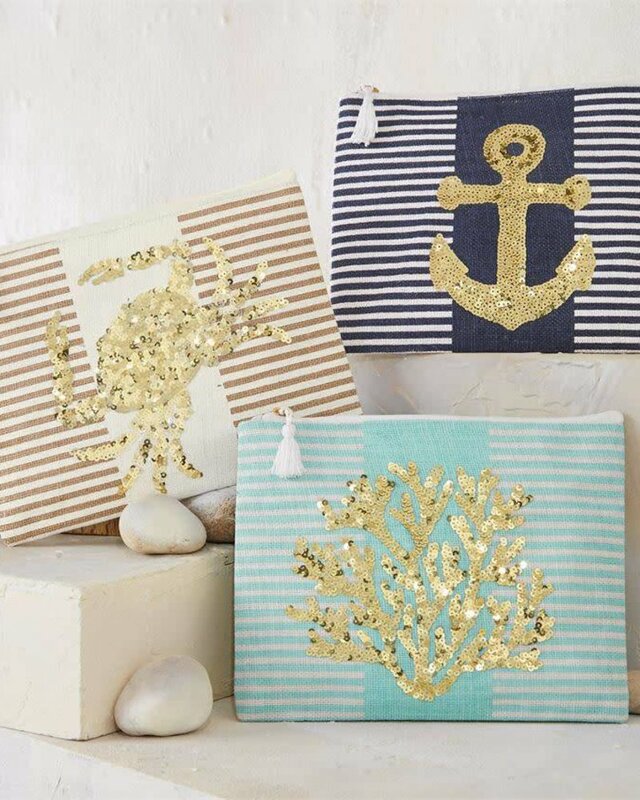 Matching zip case & additional designs available separately. 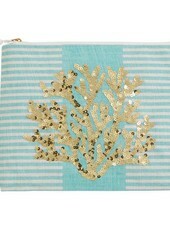 Jute carry-all zip case features sequin coral exterior, laminated wipe-clean interior and tassel zipper pull. Aqua blue and white stripes. 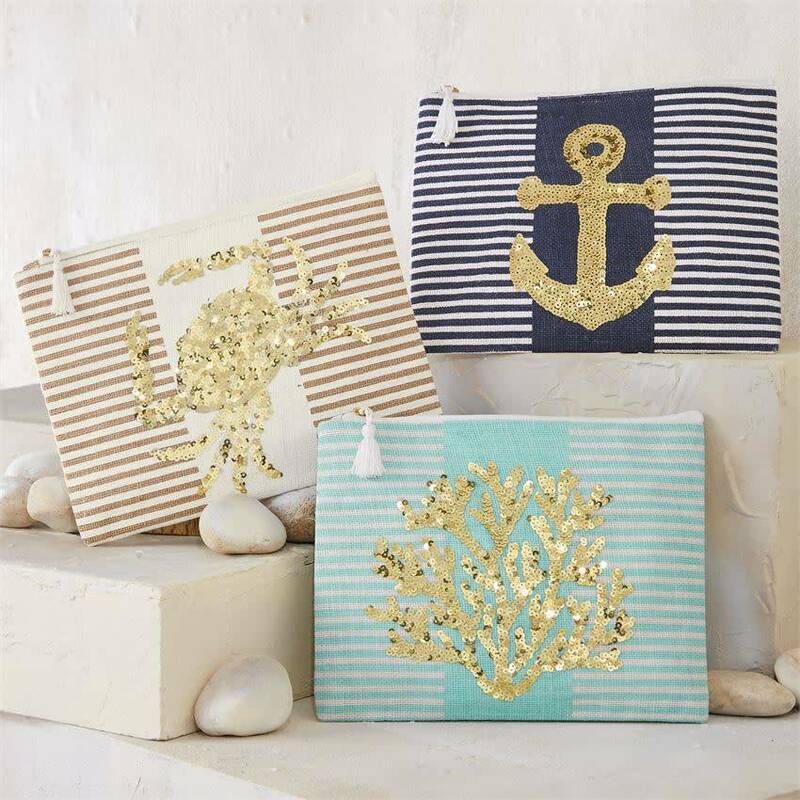 Jute carry-all zip case features sequin anchor exterior, laminated wipe-clean interior and tassel zipper pull. 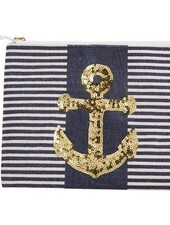 Navy blue and white stripes. 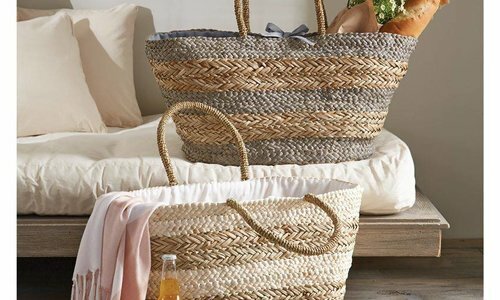 Matching tote bag & additional designs available separately.